Marissa Duarte was born on May 5, 2005 in Norfolk, Virginia. 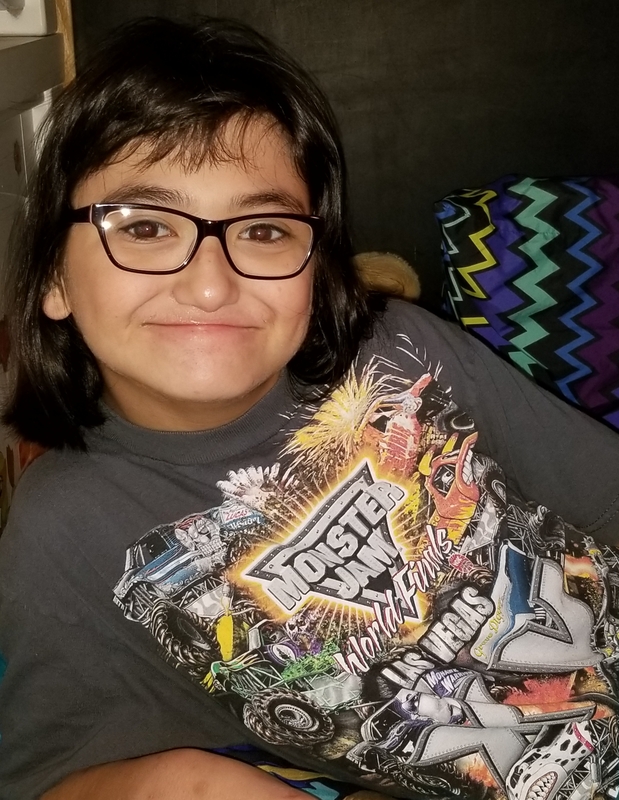 It is with great sadness that the family of Marissa Duarte announce that she received her special angel wings unexpectedly on November 10, 2018 at the age of 13 while surrounded by her family and friends. Marissa will be sadly missed by her parents Alvaro and Jill Duarte, her Aunts Tracey Canchon, Nancy Johnson, and Moira Jacobsen, her Uncles Jaime Johnson, Charlie Duarte, Fernando Duarte, Luis Canchon and Gregory Jacobsen, her Cousins Charles Duarte, Jennifer Duarte, Andrew Canchon, Kris Canchon, Marc Canchon, Samuel Jacobsen, Nathan Jacobsen, and Hayes Jacobsen, her extended family Andi Magill, and Georgia Magill. Preceded in death by her Grandfathers Jorge Duarte, and Thomas Jacobsen, her Grandmothers Maria Teresa Duarte, and Carol Swanson. Marissa came to us early and with many health concerns. Marissa was a 7th grader at Salem Middle School in Virginia Beach. She was pure, innocent, happy, well known, and loved to laugh. She loved to socialize with everyone whether she knew you or not. She had a way of stealing your heart and making you fall in love with her. We are eternally grateful for all of the doctors, surgeons, and nurses who helped us fight for her life in those early days. And we are equally as thankful for family, friends, teachers, aides, and care givers, that became the intricate village that made it possible for our ‘miracle baby’ to have the successes she did. Alvarito y Jill, reciban de nosotros, Alvaro y Esperanza, nuestra manifestación de dolor por la pérdida de tu hija, no podemos imaginar el sufrimiento que los ha golpeado pero seguramente la satisfacción de haber luchado hasta lo imposible por cuidarla, pronto les aliviará esta pena. Two amazing parents that gave it their all with God’s precious gift; Marissa “Rizzy”.He is rejoiced on this journey assigned to you both, and how you completed it . The care, commitment, dedication and love you gave this precious child, made the difference throughout her life. She has gone home and Our Heavenly Father has received her with open arms. Rizzy has transition into Heaven now, but will remain in our hearts forever. Our little angel will surely be missed, along with her smile and sense of humor. We are thinking and praying for you, and may the memories ease your pain and give you comfort and strength. Praying the love of family and friends, continue giving you the strength to face the days ahead and the faith in Our God give you peace. No words can express the sadness we feel for your loss. At the same time no words can begin to express the joy, happiness, and love Marissa must have brought to your lives and all those fortunate to have known her. Always remember that beautiful smile and know that she is in a better place, free from any health issues, and always carrying the love of her wonderful parents who made her the special girl she was. We pray that God give you strength and peace during this difficult time. We love you both. Dear Al and Jill, may the Lord place His hands upon you at this moment, to give you comfort, strength, all His love and the blessings you so much deserve. In His eyes, you have made yourselves worthy to occupy a place by His side as Marissa is now. With humility you accepted the cross He asked you to carry, and through faith you received the strength you needed. He will praise how well you did, only expressing gratitude for the honor of caring, loving and guiding Marissa through her journey. Who can do as much as you did. Who can give so much love as you gave. Indeed you earned a place in Heaven, where angels rejoice in the presence of the Lord. May God bless you, love you and protect you each and every day for the rest of your lives. When an Angel comes to this earth God gives her loving, kind, patient and dedicated Parents to prepare her return to the Eternal Home. Jill and Alvarito gave their whole lives and love to strengthen Marissa and return her to the Father with strong and beautiful wings. Marissa is light and blessing for the whole family. We will love you more every day and your departure will confort your beautiful smile and the echo of your voice.